When Israeli diplomat David Roet attended a United Nations conference in Kuala Lumpur recently, the Opposition went into full swing trying to discredit the government saying that it wants to establish diplomatic relations with Israel. In a statement, the Malaysian Ministry of Foreign Affairs (MoFA) explicitly states that the invitations to the Israeli delegates was issued by the UN as per Article III of the Host Country Agreement signed by the organisation and Malaysia so that the UN is able to conduct its conferences away from any of its established headquarters. The Article states, in part, that the Forum shall be opened to all UN member states and its Specialised Agencies. This was confirmed by Israel’s Hadashot TV which reported that Malaysia was compelled to host the Israelis, since it was required to grant visas to all delegations in order to hold the international conference. Therefore, it is immaterial whether or not Malaysia has diplomatic relations with Israel. It is for the same reason that Fidel Castro was able to attend the UN summit in New York in 1976, 1995 and 2000. If you walk along Jalan Zainal Abidin in Pulau Pinang which is just off Burmah Road near the Tune Hotel, you will come across an old cemetery. That is a Jewish Cemetery. Jalan Zainal Abidin was once called Jalan Yahudi or Jew Street, the only evidence that a Jewish enclave once existed on the island. Israel first established contact with our pre-independence government in 1956 when Israeli Prime Minister Moshe Sharett visited Malaya to propose the appointment of an Israeli consul in Malaya. Israel also voted in favour of the Malayan bid to become a UN member in 1957. Trade between the two countries was in place. This was banned in 1974, after the Yom Kippur war, but indirect trade (through third countries) was in place. An Opposition supporter was quick to point out that according to the Israeli Central Bureau of Statistics, between 2008 and 2011 trade between the two countries fluctuated considerably. Israel’s exports to Malaysia peaked at USD798 million in 2010 while imports from Malaysia peaked in 2011 at USD93.6 million. Although the preriod shown above shows the statistics was for the period between the end of Abdullah Badawi’s administration and the commencement of the Najib Razak administration, the flourish in trade could be traced back to the Mahathir administration. In December 1993, as a consequence of the Oslo I Accord, Mahathir wrote a letter to Israeli Prime Minister Yitzhak Rabin. My government supports this positive development and views it as a first step towards the realization of a comprehensive solution to the Middle East problem. As a demonstration of Malaysia’s support to this development my country was represented at the Donor’s Conference to support The Middle East Peace held in Washington and subsequently pledged a modest financial contribution to the Palestinians to assist in their new tasks. My government has also offered the Palestinians technical assistance under the Malaysian Technical Cooperation Programme. I look forward to normal relations with Israel. I intentionally made bold the last line because, while the rest of the content which, obviously was drafted by someone else, Mahathir wrote that bold part saying he looked forward to normal relations with Israel himself. Yes, it was handwritten. In the most recent diplomatic history, Obama wished to have normal relations with Cuba. Diplomatic relations between the US and Cuba was subsequently restored. The following year, PKR’s Chua Jui Meng, who was the then-Deputy Minister of International Trade and Industry, suggested that Israel could eventually become a destination for Malaysia’s investments (Shanti Nair, Routledge, 1997 p.252). As a result, in 1999 Israeli exports to Malaysia totalled USD107 million. In 2000, it was USD732 million, and USD615.5 million the following year. In 2002, the Israel Ministry of Industry report on trade relations with Indonesia and Malaysia advised Israelis interested in conducting business with Malaysian companies that “there is no opposition to trade and commerce relations as long as a low profile is kept“. Mahathir’s son Mukhriz, who was the Deputy Minister of International Trade and Industry in 2011 confirmed that Malaysia has had bilateral trade relations with Israel since 1996. Mukhriz tweeted “Upon request from large foreign investors here, in 1996 the Cabinet instructed MITI to approve import from and export to Israel.” The relevation came as a surprise, especially as the trade ties were established during the Mahathir administration. Mahathir has been a vocal opponent of Israel and continues to project this false stand via his Perdana Leadership Foundation which openly opposes Israeli occupation of Palestinian land. Najib took over from Abdullah only in 2009. So, thank you Mahathir for his eagerness to start a diplomatic relationship with Israel in 1993. Congratulations also to the Opposition states as they received a lot of FDI from Israeli companies. Don’t forget to thank Mukhriz for that information and confirmation. I see several Sarawak-related pages claiming that no one, including the mainstream media, cares or has given coverage to the flood situation in Sarawak. Comparing the response both the government and non-governmental organisations gave to the floods on Kelantan and Pahang to the ones now in Sarawak, the Sarawak-related pages say that there is very little that is being done by the Federal Government. 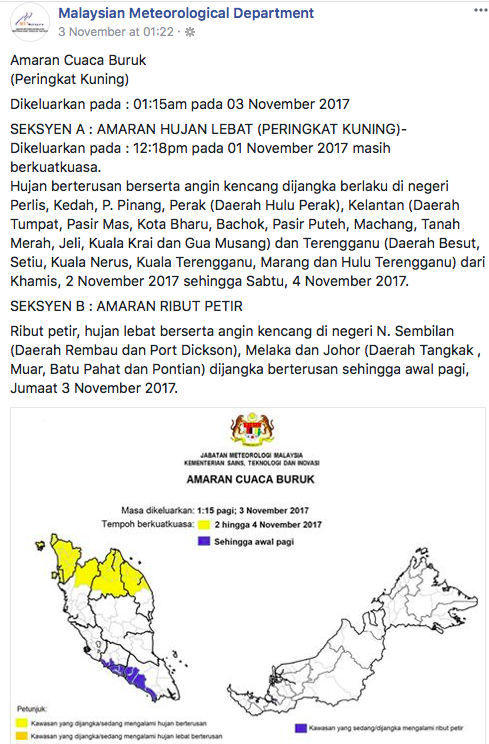 All Federal Government agencies in Sarawak have been put on flood watch standby as early as December 2017. This includes, but not limited to, the Army 1st Division, the Royal Malaysian Police (PDRM), and the Fire and Rescue Services Department (FRSD). The FRSD has been evacuating people from flooded areas, and in one particular instance, evacuated Suriah Bakar, 35, of Kampung Parong, Kota Marudu, who was in labour. Prime Minister Najib Razak himself is constantly monitoring the flood situation in Sarawak and has promised to ensure that relief reaches all flood victims. 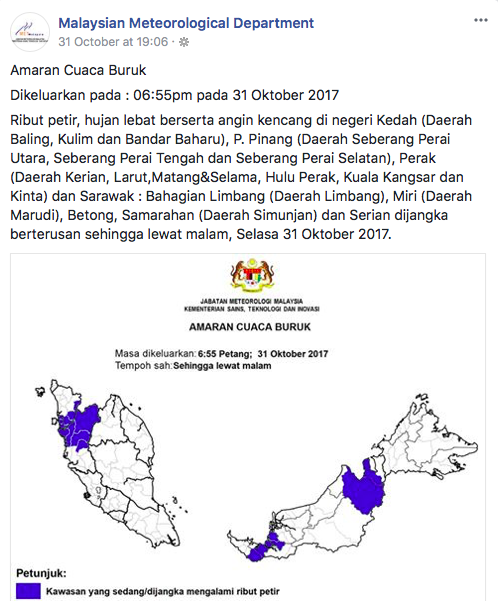 As at noon today (Thursday 8 Feb 2018), only five areas in three divisions in Sarawak have recorded water level above the Alert level. 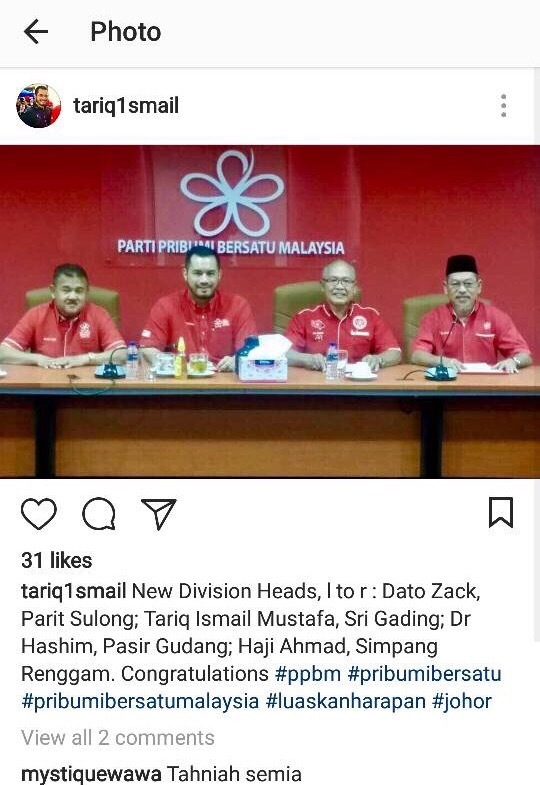 They are in the Miri, Bintulu and Kapit districts. 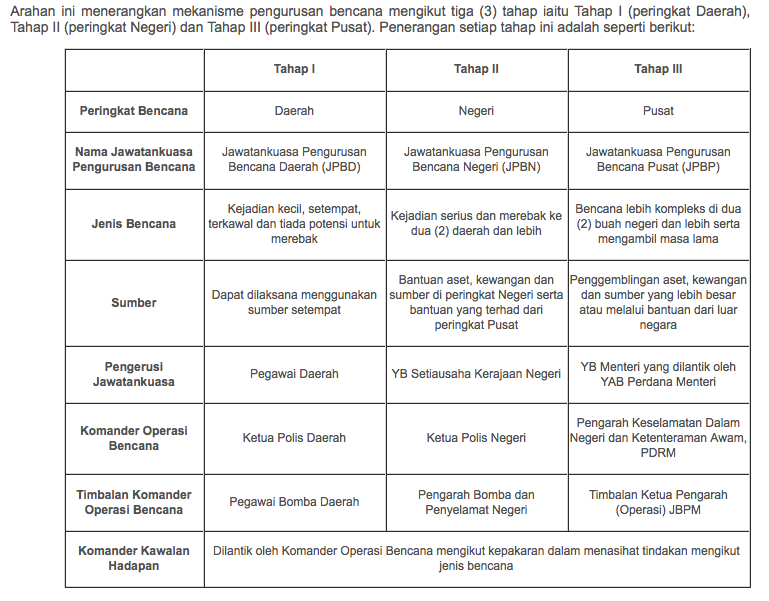 Only the Bintulu-Belaga road in Bintulu, and Long Jegan and Long Panai in Miri have water levels that are above the Danger level, while Ng Merurung in Kapit and Kuala Binyo in Bintulu have water levels that are above the Alert level. The areas that are affected by the floods are Samarahan. 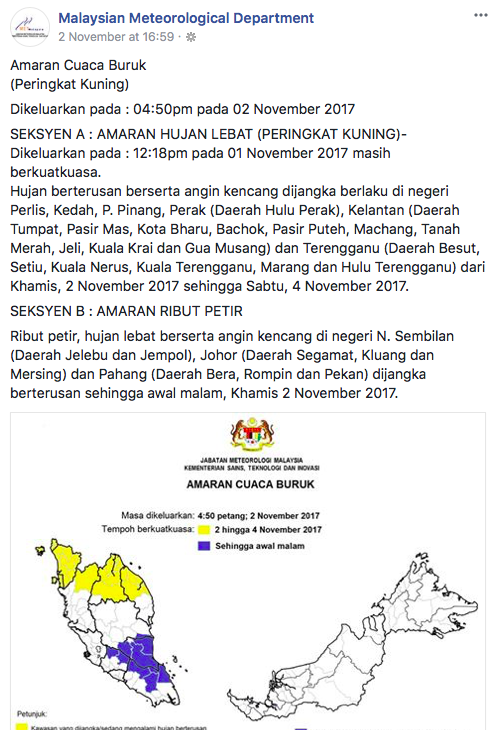 Sarikei, Sibu, Serian, Bintulu, Mukah and Limbang. 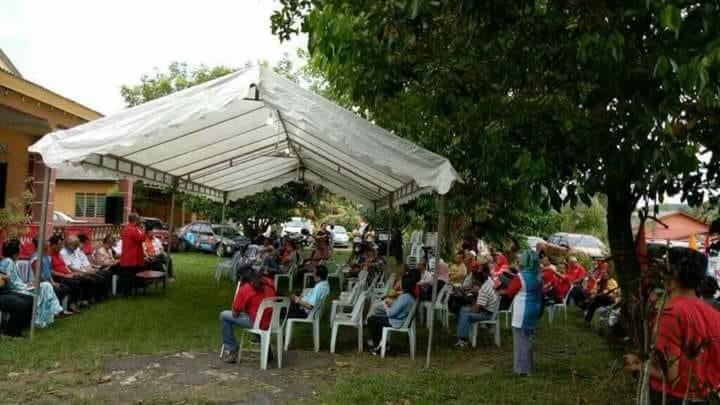 While the Borneo Post has been actively updating the flood situations in Sarawak, Sarawakians complain that the Peninsular-based media, especially the electronic media, have not been giving ample coverage. This is absolutely not true. Just yesterday I pointed to a Sarawakian friend URLs of mainstream media reports on the flood situations there, including the ones by NST, Berita Harian and Utusan Malaysia. BERNAMA and RTM have been airing the plight of Sarawak flood victims. 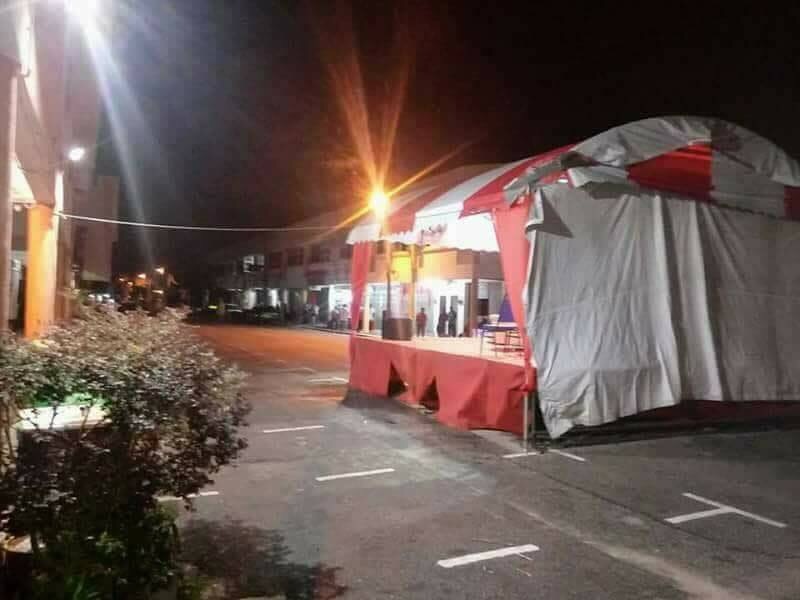 Even the station most hated by the Opposition, TV3, has been consistently reporting on the flood situations in Sarawak, covering flood relief centers as well as the latest evacuation operation this morning by the Civil Defence Force (APM) involving a woman in labour at Klinik Entabai, in Julau, Sarikei. 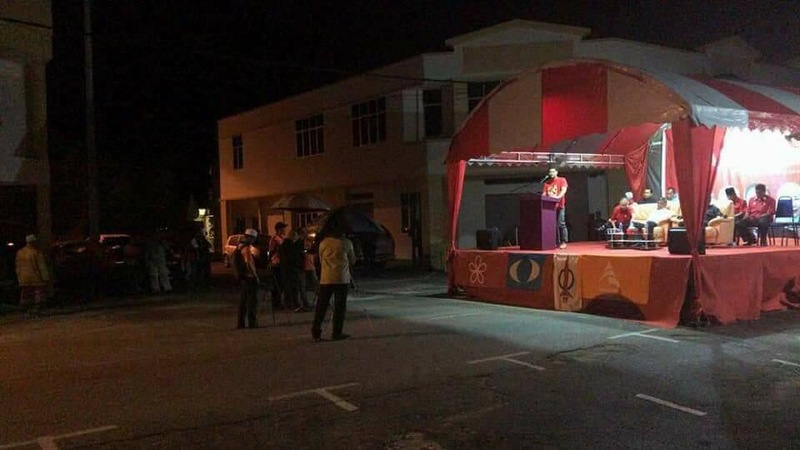 As far as social media is concerned, there is very little that the ordinary Semenanjung folks can do. While we can start collection centers here, sending stuff over there would not be economical at all. Whilst there have been many flooding in the Peninsular, I made myself available for three – the Johor floods of 2006-2007, the Pahang floods of 2013, and the Kelantan floods of 2014. Those were the flood disasters that Peninsular people got together and helped government agencies to provide assistance to flood victims. In Johor, I provided assistance between Parit Botak and Rengit. In Pahang, I assisted Her Highness the Tengku Puan Pahang in the Kuantan and Pekan areas. In Kelantan, my former classmates and I brought supplies from Putrajaya to the hospitals in Gua Musang, Kuala Krai and Jeli. In Johor back in 2006-2007, two waves of floods hit the state. In the first wave, 90,000 people were evacuated. Just when they thought it was safe to return home, a second wave struck and caused 109,831 people to evacuate. In 2013 Pahang, 40,819 people were evacuated. In 2014 Kelantan, more than 170,000 had to be evacuated. The scale of destruction that I saw with my own eyes in Gua Musang, Manek Urai and Kuala Krai was just beyond comprehension. Even Kuala Muda in the aftermath of the 2004 Tsunami did not look as bad. Yes, I was there too in 2004 with a Malaysia Airlines aircraft captain friend (he now flies for Air Asia). I took the above photo at Kampung Bukit Tebuk near Chiku while on the way from Kuala Krai to Gua Musang on 31 December 2014 because I saw this man at the Manek Urai relief center queuing for food for his family earlier in the morning. At this point he had walked 14 kilometres to get home. Pulau Pinang in November 2017 saw 71,294 people evacuated. 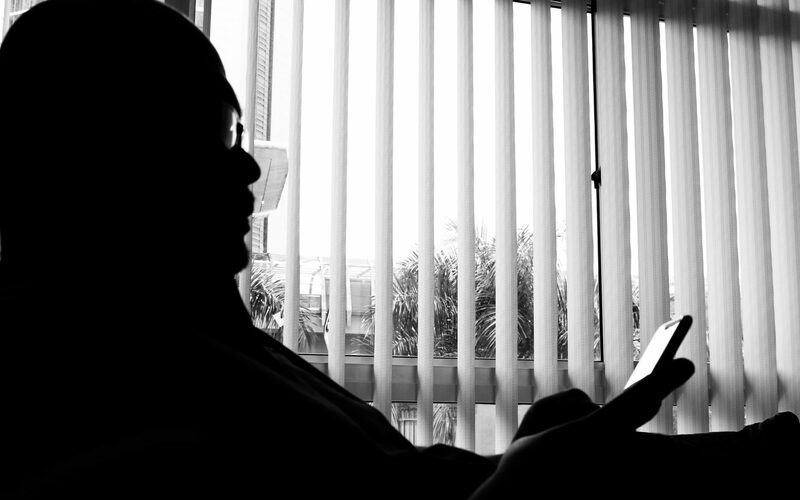 This was when Lim Guan Eng was seen crying for help…literally. In comparison, the total number of evacuees in Sarawak as of last night was 4,859 people. It is a number that is still very manageable by the state government and its NGOs. I have not seen any NGO in Sarawak running a donation campaign to collect cash and kind for flood victims there. If there is such a fund I am sure people in Malaya (a term fondly used by Sarawakians for Peninsular people which isn’t a nice term) would be glad to chip in. After all, I have relatives in Samarahan, Kuching, Miri, and friends working on the Pan Borneo Highway project that are affected by the floods. Nor do I see throngs of 4X4 vehicles (which happens to be in abundance in Sarawak) carrying relief items to affected areas like it was done in the Peninsular. How can anyone start anything if the Sarawakians themselves don’t do anything for fellow Sarawakians? 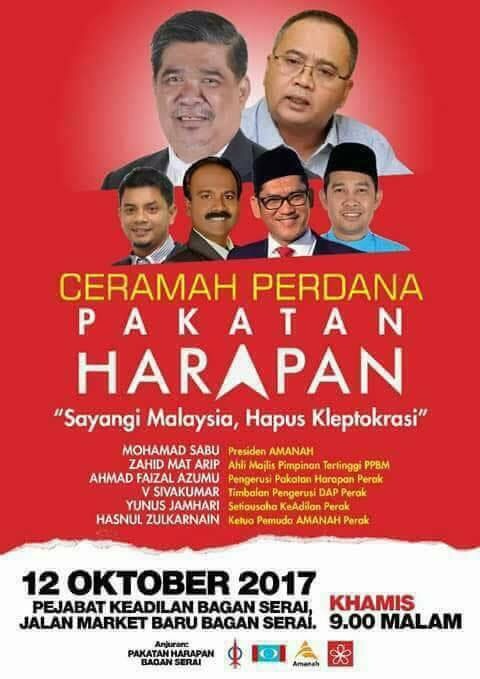 I promise not to ask how many Sarawakians actually donated to flood victims and relief missions in Kelantan, Pulau Pinang, Johor and Pahang. To where should we Malayans send our donations to? So, the feverish pace you saw in the Peninsular was because of the magnitude of the floods and the destruction they caused. The absence of any social media hype by socmed practitioners in Sarawak on the flood situation says all that. I am not saying that the flood situation in Sarawak is not bad. Any flood is bad. But it doesn’t do justice when people sit and complain about it on social media expecting to be spoon fed. Just start something instead of whining. There are many here on this side of the South China Sea who would want to help. 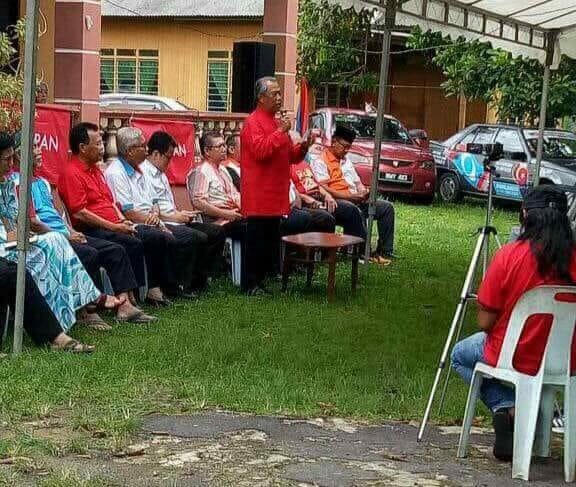 Former army Brigadier turned politician, Arshad Raji, seems to like the attention the electronic media has been according him lately, and he speaks about a wide spectrum of issues – from falling for Mahathir’s fake news of the so-called withdrawal of his close police protection, to the management of the floods in Pulau Pinang. 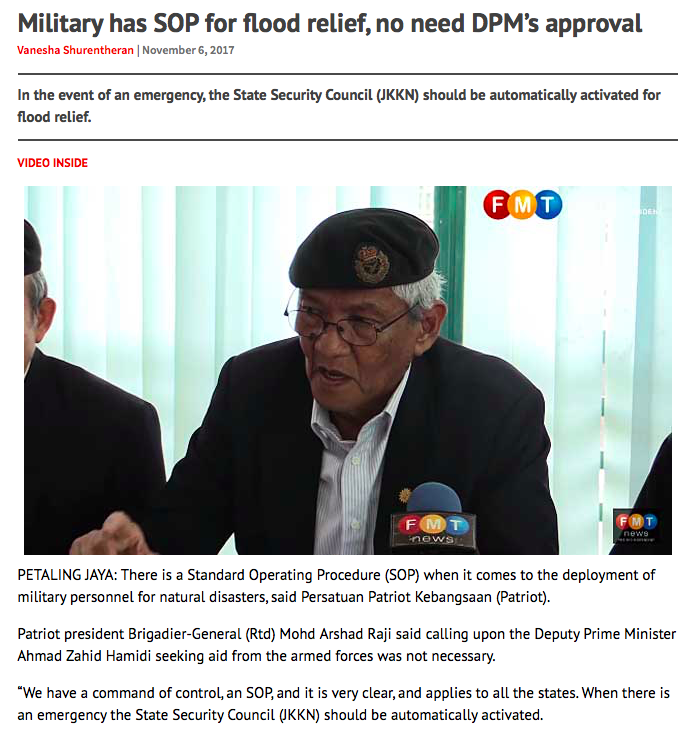 In the latter issue it was as if he was trying to downplay the Deputy Prime Minister and the BN-led Federal Government’s involvement in the management of the floods. He was right about some of it, though. Under the National Security Council Directive No.20, when a state emergency is declared following a disaster affecting two districts or more, the State Disaster Management Committee can call for assistance in the form of assets, finance, and other resources on the state level, and limited form of assistance from federal agencies within the state – the police, armed forces, civil defence etc. This does not require a call to the Deputy Prime Minister at all. The State Disaster Management Committee is chaired by the Chief Minister or Menteri Besar while the Chief Executive is the State Secretary. 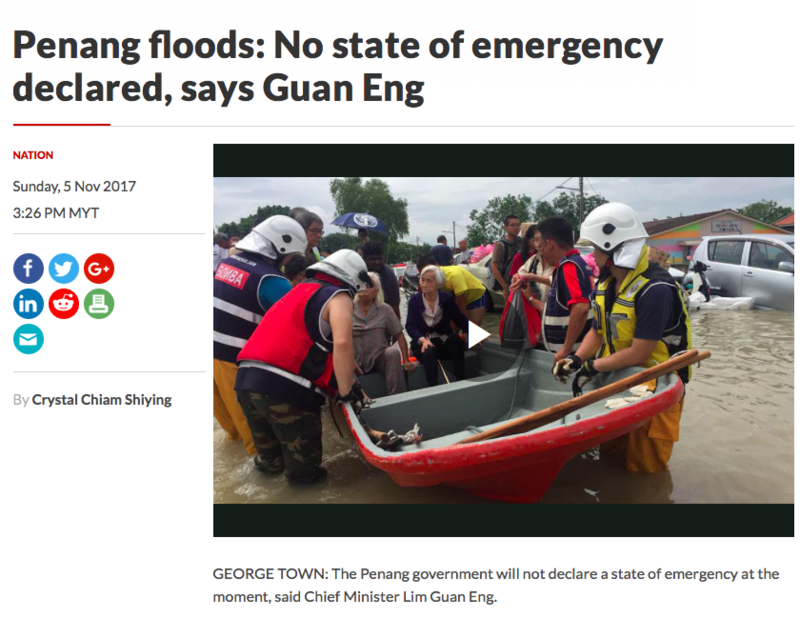 But what Arshad Raji did not know, or chose to not reveal during his “press conference” was the fact that until now Lim Guan Eng has not declared a state of emergency in Pulau Pinang despite floods inundating four out of five districts in Pulau Pinang namely Seberang Prai Utara, Seberang Prai Selatan, Barat Daya and Timur Laut. I lived in Pulau Pinang, on the pulau itself for three years and four months in the late 1980s and never once saw floods affecting the state on this level. The most I would see is pockets of areas in Datuk Keramat and the Green Lane (Jalan Masjid Negeri) – Jalan Air Itam junction near the State Mosque. Even then you could still pass the areas on your motorcycle. Having eight deaths because of floods in a year was unheard of (one died earlier in September while seven this time around). 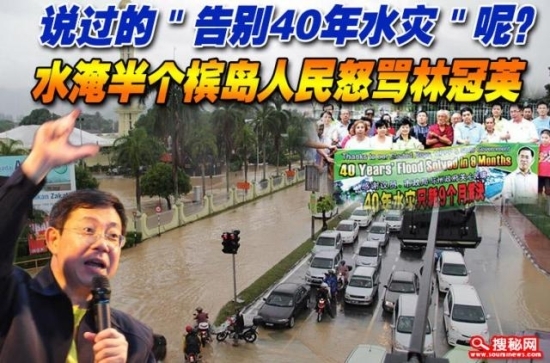 “No rain, no floods” seems to be the best of Lim Guan Eng’s quotes pertaining to floods in Pulau Pinang. This time, the deluge is blamed on a tyhoon that is battering Vietnam, and rightfully so. Every time a typhoon hits Vietnam, the northern Peninsular states would receive an extra amount of rainfall. And since 1881, Vietnam has been battered by 68 typhoons excluding the one that has just hit them. However, the shocking bit is where 119 flash floods have hit Pulau Pinang since 2013! That is 2.5 flash floods per month for the last four years! I wonder why this is the case of late? 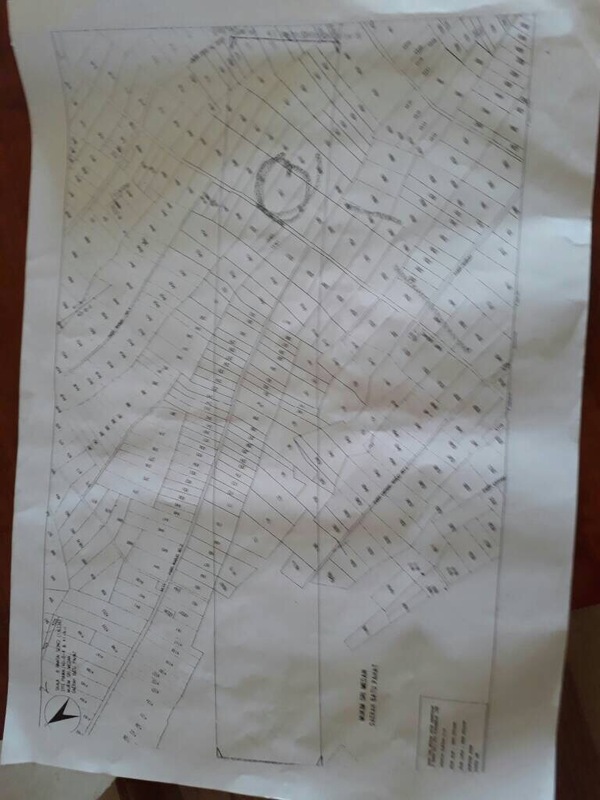 It does not take an engineer to tell you that when you do excessive hillside developments, the soil cannot absorb the rainwater as the oxidised topsoil would be transformed into a clay-like material. The run-offs would be washed into monsoon drains, clogging up the roadside gutters and making the storm sewers shallower as silt accumulates at the bottom. These drains flow out to sea along natural coastlines, which is why monsoon drains act as gravity sewers. 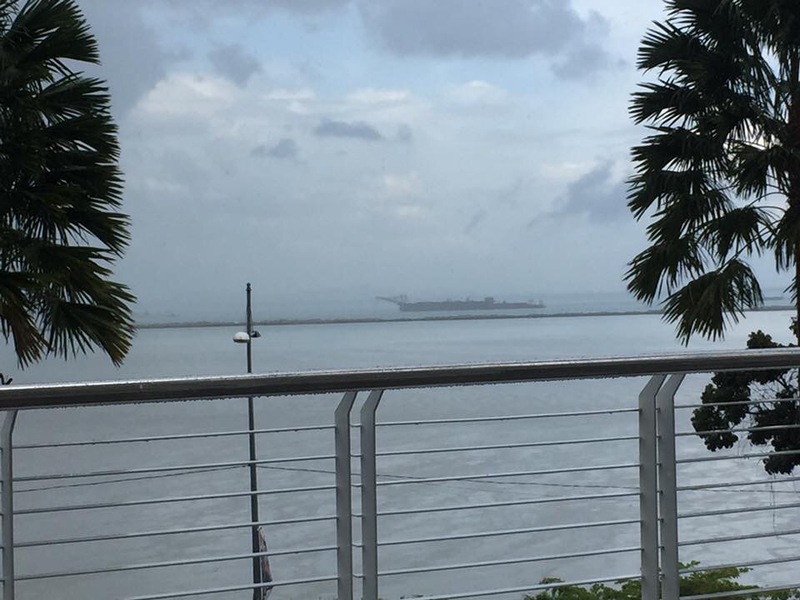 In Pulau Pinang, you can hardly find a natural coastline as most beaches with gradient have been reclaimed, and the gradient tapers off, diminishing the gravity effect. Storm water therefore does not flow into the sea but accumulates and saturates the flatter grounds causing floods. But who cares about eight deaths this year due to floods and one last year when you can make money selling condominium units to the rich? 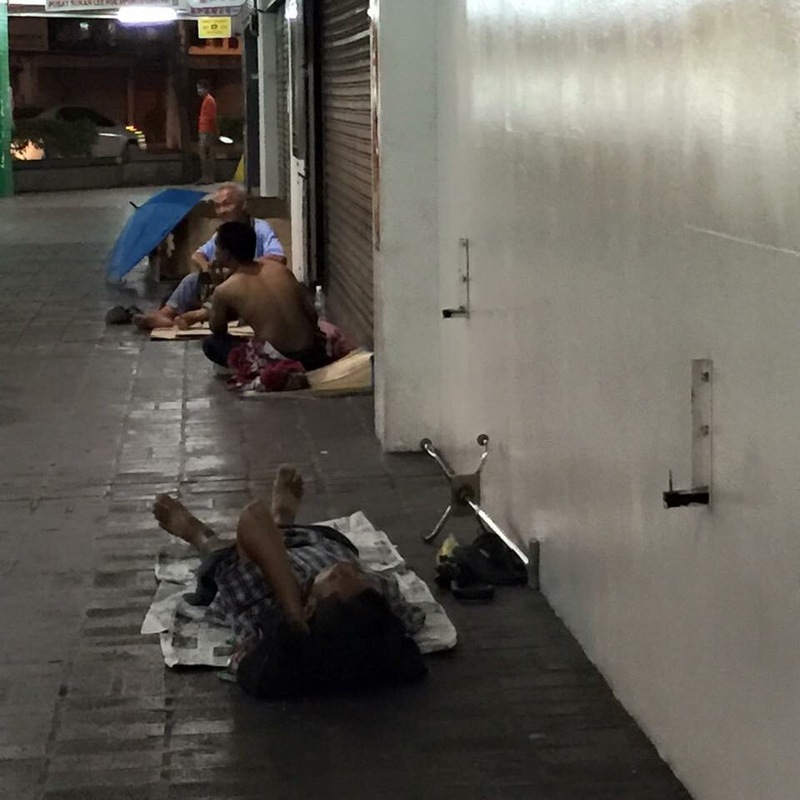 But it is this excessive development by the state government that was voted in by the Pulau Pinang people that is now killing the Pulau Pinang people and have caused untold miseries. Everyone also knows that when it is the new moon or full moon, tides will be higher than usual, and that makes it harder for storm drains and rivers to flow water out to sea, what more when there is excessive water caused by the backlash of a typhoon. 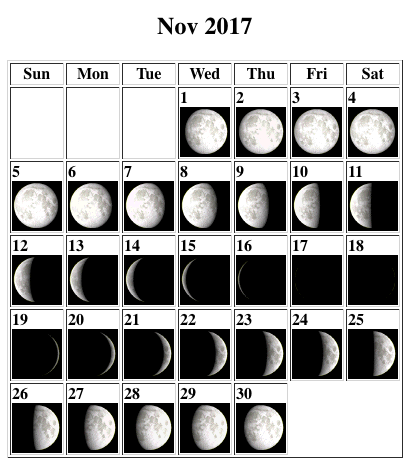 You can see that from 1 November 2017 the moon was in an advanced waxing gibbous phase and full moon over Georgetown, Pulau Pinang occured at 12.40am on Saturday, 4 November 2017. 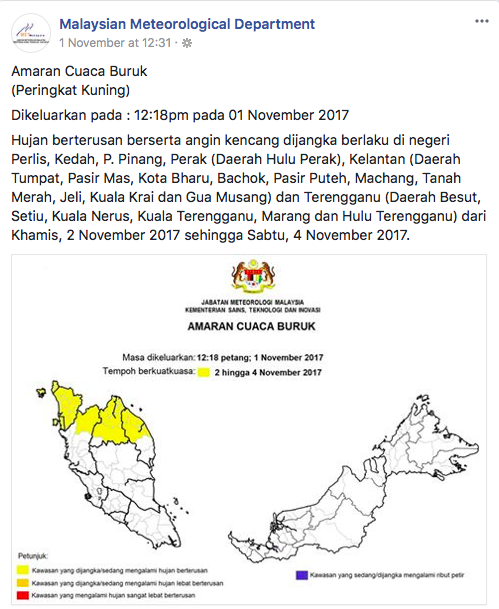 The Malaysian Meteorological Department had issued a series of bad weather warnings for the northern Peninsular states from 31 October 2017, and every day from then on. You can see that there was ample warning by the Malaysian Meteorological Department that the weather was going to be bad for four days. 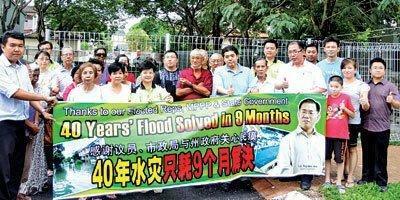 What did Lim Guan Eng or his State Disaster Management Committee do? Nothing, until it got really bad. 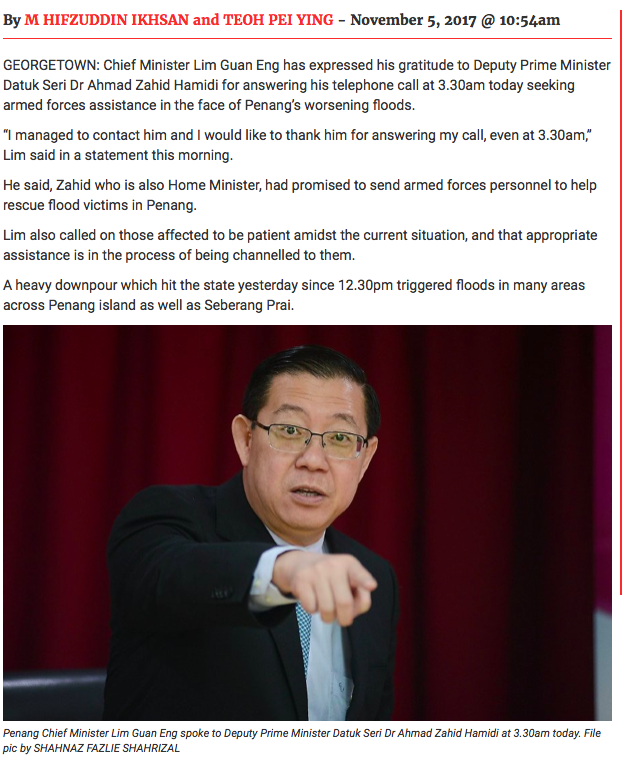 And at 3.00am, Lim Guan Eng became a cry baby and called the Deputy Prime Minister for help, without even declaring a state emergency. Where was his State Disaster Management Committee? Why had they not sat down to make preparations to mitigate the situation? Lim Guan Eng was quick to point fingers at Kelantan in the aftermath of the disastrous floods at the end of 2014. He pointing out that corruption and the incompetency of the Kelantan state government, as well as the rampant hillside clearing as the causes of the floods. Well, we know that there is rampant hillside clearing in Pulau Pinang. 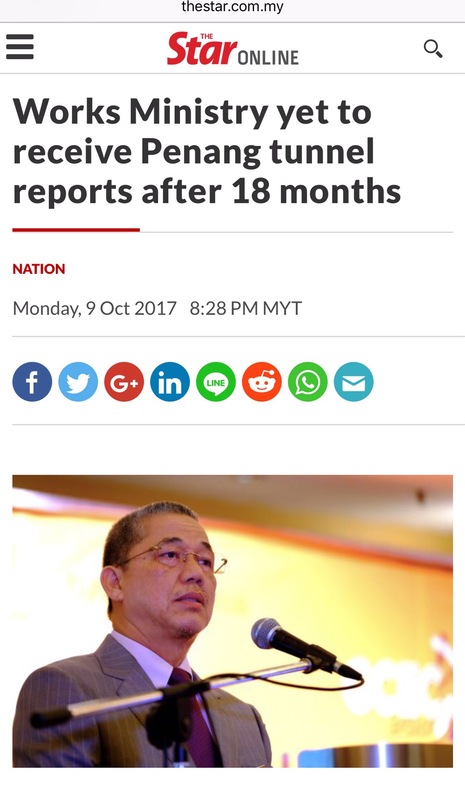 We also know that the Chief Minister was charged on two accounts of corruption, and we also know now that it was the incompetency of the Pulau Pinang State Disaster Management Committee led by Lim Guan Eng himself as the Chairman that had caused the situation to be worse than it should be. 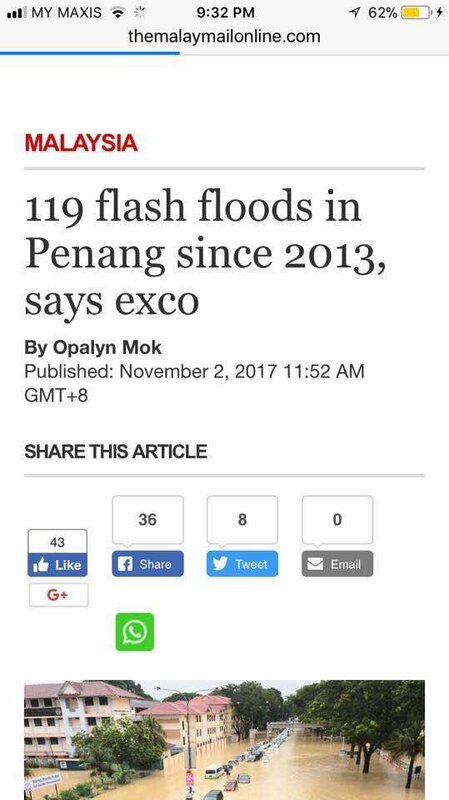 Lim Guan Eng’s government’s incompetence has killed one person in floods last year, 21 people in a landslide this year, and eight people in the recent floods. 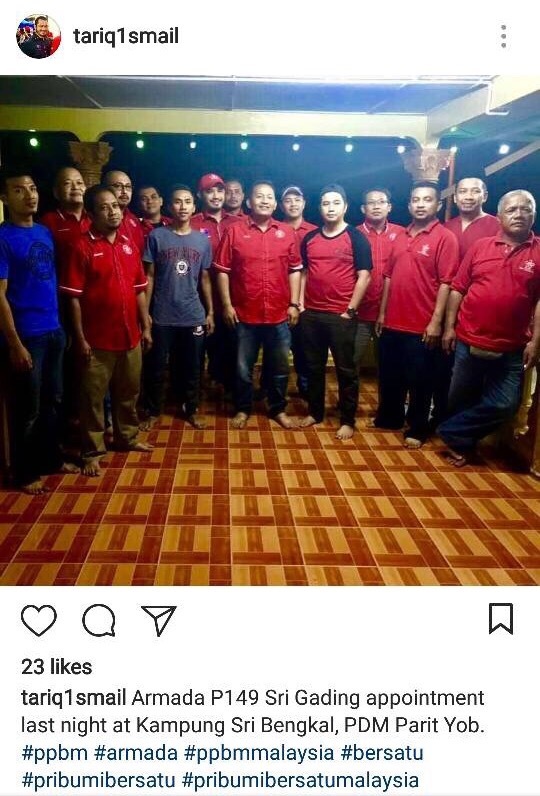 This is the government that the Pulau Pinang people have voted in, and the Chief Minister chosen by them. 119 flash floods have occured since the promises above was made. 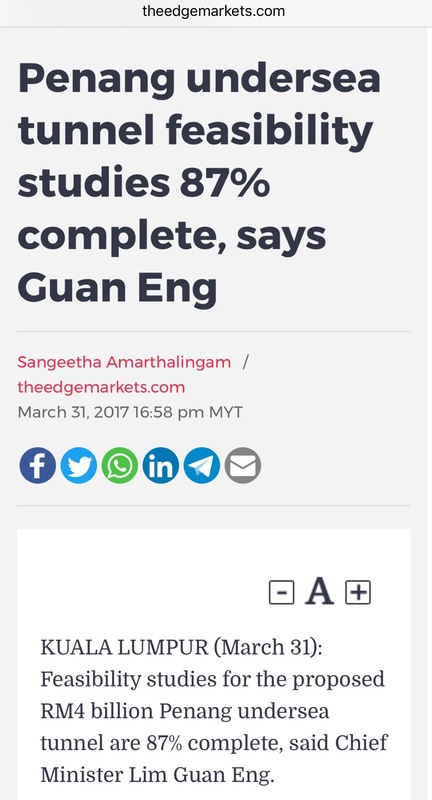 And Lim Guan Eng’s government is not worried. Going by the rate the floods are killing people, there won’t be that many people left to complain about the floods – problem solved. The Fall of the Straits Settlements? 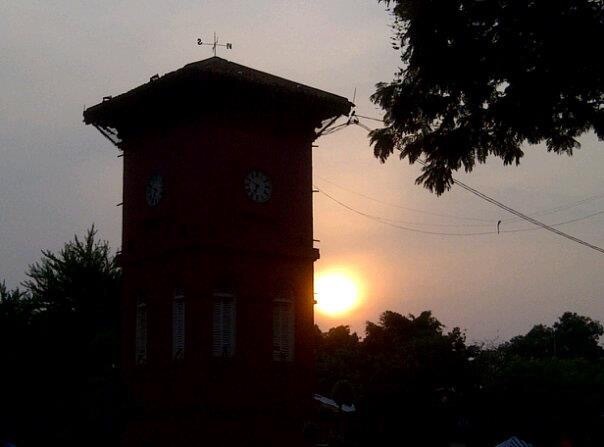 Last night, I wrote a bit about how Georgetown may lose its UNESCO Heritage Site status. Tonight, I shall write a bit more and tell you what impact should such event take place. If you can recall I wrote that Georgetown in Pulau Pinang, and the City of Melaka in Melaka, were bestowed UNESCO Heritage Site status on 7 July 2008. The application for the status was first made sometime in 1998 but failed to achieve the status as the documentation was not proper. If I recall correctly, the Federal government had to step in through its Jabatan Warisan Negara (National Heritage Department) to properly structure the application to UNESCO. In January 2007 the Nomination Dossier was submitted. In July, the official acknowledgment from UNESCO was received. This followed a visit by officials from the International Council on Monuments and Sites (ICOMOS) to Georgetown and Melaka between 24 to 31 August 2007. They include Professor Yukio Nishimura who is from the Department of Urban Engineering, University of Tokyo. Since being bestowed the status, Melaka took the necessary steps to ensure that the descendants of the historical Melaka people, its customs and sites remain preserved with very little restoration modifications done. Both Melaka and Georgetown are similar in many ways. Some parts of both cities are time capsules of eras that have passed, eras that played a huge role in shaping the two cities. But that is where the similarities end. In Georgetown you can hardly find the original people. Although the clans still have their presence there, only the richer ones remain on the island while poorer ones have moved to the mainland. Gone are the sundry shops, the second-hand bookstores I used to frequent along Armenian Street, the old Chinese man weaving rattan baskets and the Malabari newsagents. While the facade of their shops remain, inside are rows upon rows of boutique hotels and hipster cafes that are owned by foreigners and by that I mean non-citizens. 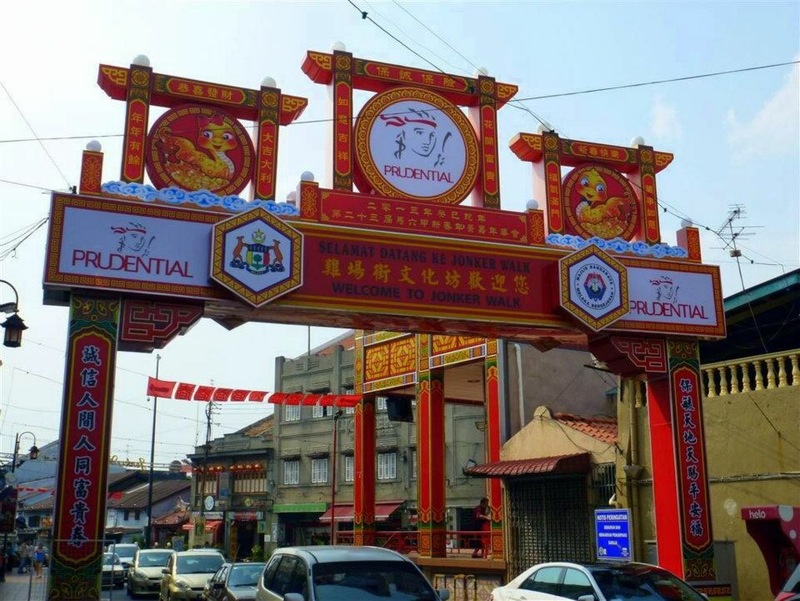 Pulau Pinang’s adamant stand to fulfill its Transportation Master Plan as wel as the selling of heritage buildings to foreigners also contribute to Georgetown losing its heritage status. Changing the landscape by the reclamation works to build three man-made islands would also destroy Pulau Pinang’s heritage. Other than having to maintain and preserve historical buildings and sites, multi-cultural tangible and intangible heritage expressed in the great variety of religious buildings of different faiths, ethnic quarters, the many languages, worship and religious festivals, dances, costumes, art and music, food, and daily life must also continue to be preserved. Under the guise of development the DAP-led state government of Pulau Pinang is only interested in making as much money as it possibly could. After all, land is money? Why worry about 40 buildings that nobody could live in when you have preserved five? But what I am about to tell you will make many become apoplectic with rage – if Georgetown loses its UNESCO Heritage Site status, SO WILL MELAKA. 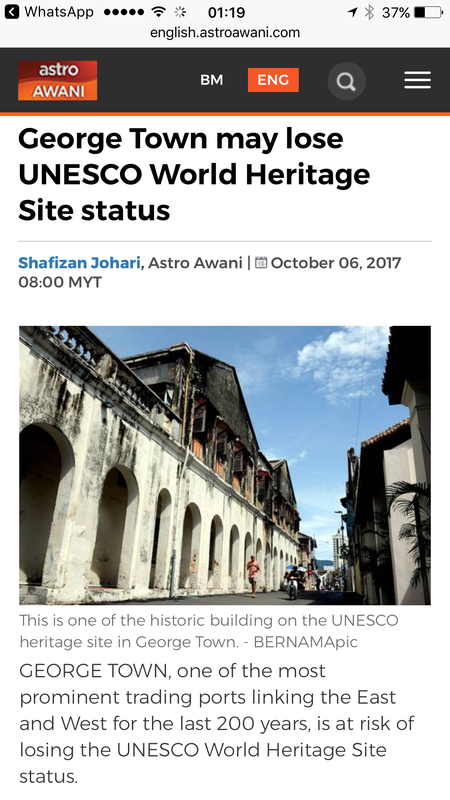 Yes, the UNESCO Heritage Site status was jointly awarded to both Georgetown and Melaka on 7 July 2008, and the Jabatan Warisan Negara is the body to preserve the sites as per the status. There was one joint-application to UNESCO for both cities. But with land being a state prerogative, what chances does the department or all Pulau Pinang’s heritage NGOs have? The innocent victim here would be the people of Melaka. 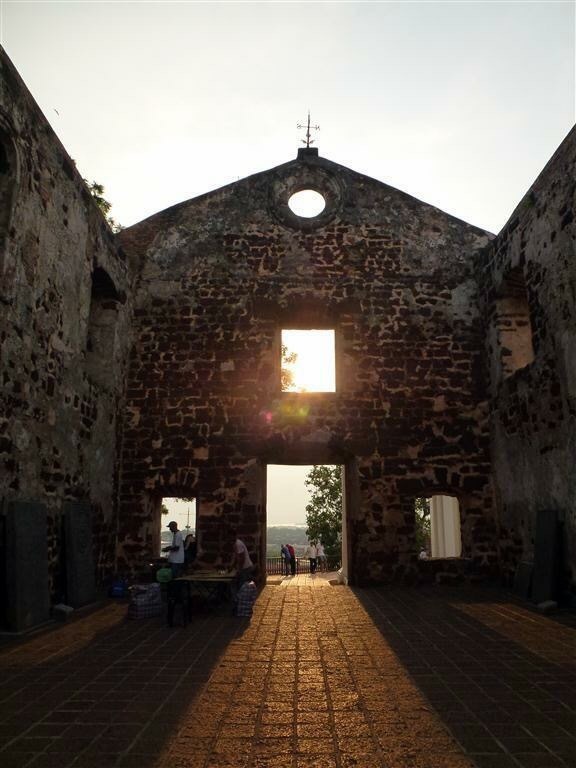 If robbed of its status because of the callous behaviour of the Pulau Pinang state government, the romance of showcasing historical sites to tourists in Melaka would be forever gone. So would be the businesses, the trishaw riders, and possibly some of the archaeological excavation sites. Yes, Tokong’s greed and selfishness will not only destroy Pulau Pinang, they will destroy Melaka too. Does he care? I doubt. 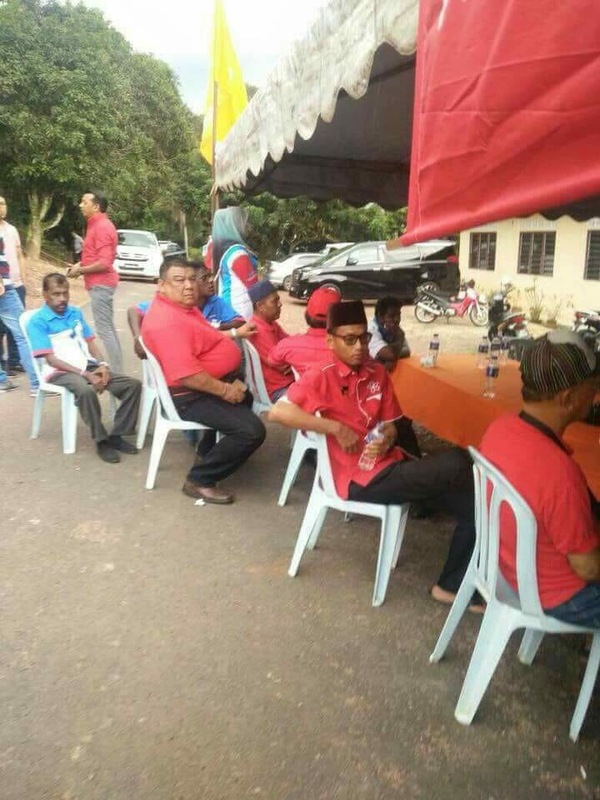 The people of Melaka are not going to vote for him next year.